IWF - Why not turn to Social Security for paid family leave? Several pundits noted that, when President Trump mentioned paid family leave at the State of the Union address, Vice President Pence and House Speaker Ryan did not stand or applaud. That’s likely because most plans to expand paid leave propose mandates on employers or new entitlements. Republicans generally oppose these policies: They limit workers’ opportunities, especially women, and add new costs for employers or taxpayers. This has resulted in a stalemate for the politics of paid family leave. But President Trump is an unusual Republican in many ways. Likely due to Ivanka’s influence, he’s willing to address paid family leave. However, if he (and other Americans) want to break through the political stalemate, we have to find a solution with bipartisan appeal. Independent Women’s Forum, a nonpartisan policy organization (where I work) highlights such a solution in a recent paper. The proposal is budget-neutral, gender-neutral, and completely voluntary. It requires no new taxes and depends strongly on the principle of personal responsibility. It works within the framework of existing programs and laws. And it would provide (partial) pay replacement for eligible workers for up to 12 weeks after the birth of a new child. Sound intriguing? Here’s how: Workers could opt to take Social Security “parental benefits,” calculated using the disability formula, after the birth of a new child in exchange for one day delaying their Social Security retirement benefits. The proposal would provide partial income replacement, similar to what social programs provide in Canada and the U.K. Due to our progressive disability formula, low-wage U.S. workers could receive as much as 90 percent of their normal pay. Workers covered by the Family and Medical Leave Act are already guaranteed 12 weeks of unpaid time off from work; this plan would help many families, especially those living paycheck to paycheck, afford to get by during a crazy, stressful, but (we hope) wonderful time in life. Eligible workers would have to have worked for at least four quarters total, including two of the last four quarters preceding a leave, so as to limit parental benefits to only those who’ve paid into Social Security, who are in the workforce currently, and who are likely to earn retirement benefits (40 quarters required). Granted, many Americans are rightly concerned about the solvency of Social Security as it is. Broader reforms are needed to address the program’s bottom line. Any reform to Social Security should honor the original idea that money paid in belongs to workers. This paid-leave plan, although not intended to save Social Security from its bigger problems, would at least honor this principle of ownership: It would offer workers another way to get some of their hard-earned, payroll-taxed dollars back. Admittedly, there’s no perfect paid family policy. But this plan avoids many of the biggest downsides of other proposals. 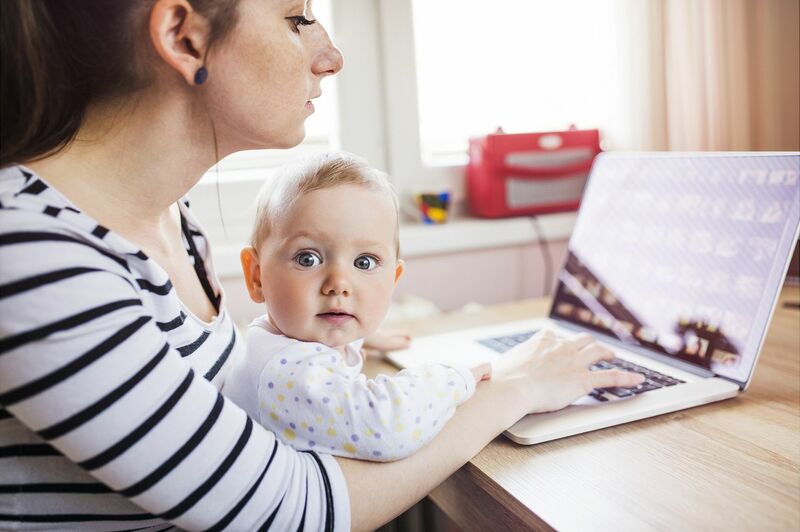 A new entitlement for paid leave, as Democrats have proposed, would increase payroll taxes and could displace current private arrangements for paid leave or flexible work. Paid-leave mandates on employers raise the cost of (read: discourage) hiring workers, especially women of childbearing age. In fact, liberal policies like these in other countries are associated with wider gender wage gaps, according to research from Pew. Coloradans are politically diverse, a microcosm of the country in a way. This proposal should appeal to Denver liberals as well as some family-values conservatives in Colorado Springs, because it promotes paid family leave. But it should also appeal to Coloradans — and all Americans — of the “live and let live” variety: No one is asked to bear responsibility for another person’s choices or leave. It’s the working parent who decides to make a trade-off that affects him or her alone. And the benefits would appeal most to those who currently lack paid family leave. In short, in contrast to other paid leave proposals, this plan could give members of both parties a reason to stand and cheer.